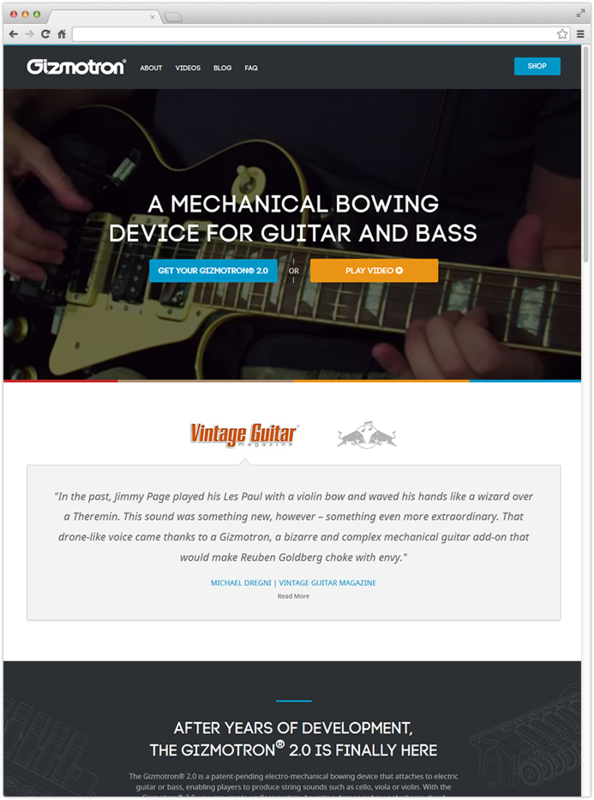 Gizmotron was invented over four decades ago and is widely known as one of the most unique guitar effects devices on the market. Faulty manufacturing led the device to flop commercially and ultimately disappear from the music scene. 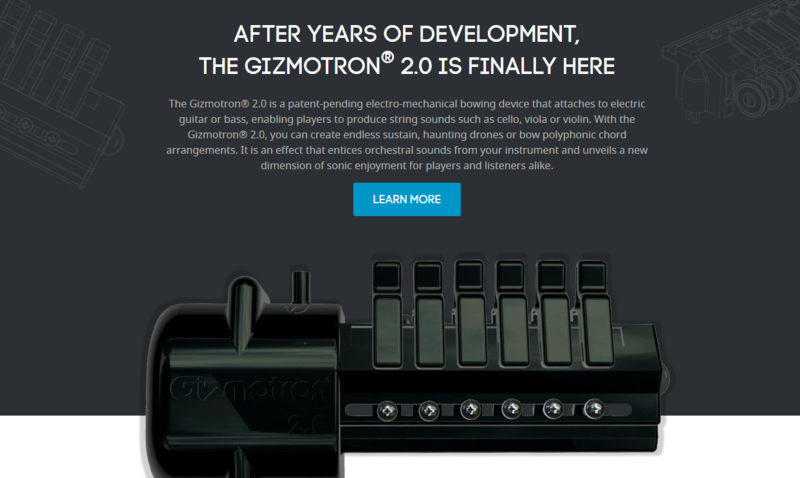 Now, the updated Gizmotron 2.0 is set to launch in 2015 and live up to the hype it created years back. Gizmotron came to Hudson looking for a retro yet modern, sleek website to promote and sell the Gizmotron 2.0. They had a one page content website live for visitors to sign up for its wait list. The design was outdated, had virtually no development capabilities, and would not support eCommerce functionality. 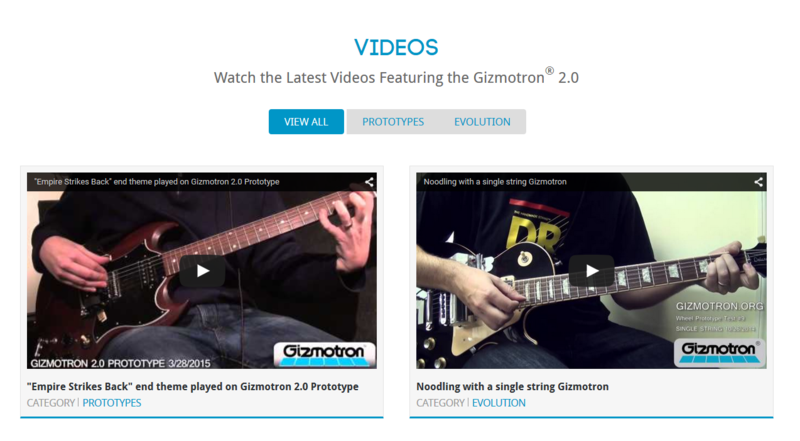 Hudson soft launched Gizmotron with a clean, modern yet retro site design, as well as a full-screen homepage video to show off the device immediately upon landing on the site. Additionally, we incorporated video tutorials and a full product page with up-close 3D renderings of the Gizmotron to give customers a better visual. While site visitors cannot yet order the device, they can join the waitlist until the Gizmotron 2.0 is available to order. Our full site launch will incorporate eCommerce functionality so customers can easily order online.